It's tempting, I know, to think that we're alone in the maladies of our time, but the truth is that ever since Lehmann Brothers went down seven long years ago, we've all been in this boat together. As a racing man though, I'm comforted by the robust health in the bloodstock markets of the United Kingdom and Europe, America and Australia, while there are signs of "green shoots" in our own backyard. That said, getting aboard the international gravy train is as much a puzzle of personalities as it is a racing conundrum; what we do know though, is that by the time the products of this year's decisions greet the auctioneers in 2017, different voices will be calling heads and tails. South Africa will have a new president, and the financial world will be a different place. Meanwhile, we can console ourselves with the performances of our horses. Last season, Variety Club ranked in the top three horses in the world. And while Vercingetorix, Soft Falling Rain and Shea Shea were not far off the pace, for every good one we saw abroad, there was at least another of that calibre at home. Make no mistake, our boys have come out to play. For us, racehorses are why we're here. They give the game its theatre, they give us its heroes as well its divine madness. Take them away, and you are left with bare commerce. If you just want to bet, why not play "pokie"? If you fancy yourself an investor, best buy Steinhoff. Sure, Steinhoff shares will go on rising, but they'll never come down with a suspensory. And if you think racing is scientific, consult your doctor. Racehorses are not only good to look at, they allow us to dress up on Saturdays. We're not punters you know, we're not investors or scientists; we are people of culture, connoisseurs of horseflesh who bet as a matter of honour. We are now deep into escapism, of course, as well as divine madness. The more we look at horses, the less it seems, we know. Eventually we reach a plateau of grace known as galloping ignorance. Such bliss. Racing often seems embedded in the past; all that history, bloodlines reaching back three centuries. But it's much more about the future. The clock ticks on, as it always will, and if a farm wants to hang to greatness, it has to do more than chime every hour. Stallions are the sultans of a farm like Summerhill, and the quest for that elusive beast that changes not only your fortunes at the races but also the balance at your bank, has led us this year to two jewels of the bloodstock buckle. Capetown Noir was born into racing royalty. The son of an "Emperor" father from the dynastic clan of Mr Prospector, he carries three strains of Northern Dancer, whose blood pervades the stud books of every racing jurisdiction on the planet. Since birth, Capetown Noir was blessed, burdened and branded by this legacy. From the day he set foot on a racecourse, he carried the expectations that came from sharing dinners with two parents who would change the Thoroughbred world. He didn't disappoint. He hadn't yet dismounted following a triumphant debut when his champion jockey anointed him the best juvenile he'd sat on. When Anton Marcus speaks, most people listen. From then till the last time he went to the races, he bestrode the ranks of the nation's milers like a colossus. With Capetown Noir in the parade, no man felt safe. 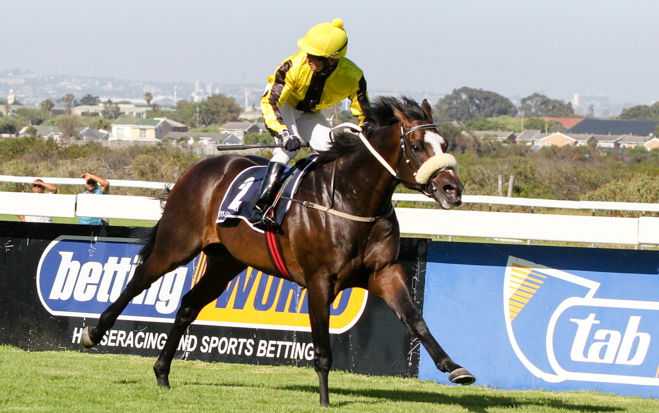 The Cape Premier Guineas stands alone for the depth and the eminence of its contestants. He made it an imperious procession, destroying the cream of the country's three years olds. Suddenly, Capetown Noir is the fresh face of an old game that sometimes loses its way in an age of television sports. The L'Ormarins Queen's Plate is the weight-for-age championship of South African racing. It dates to a time when our neighbourhood was being ravaged by a Zulu King who rejoiced in the name of Shaka. If there's a race to be won, this is the race, and everyone who's anyone, lines up. There may have been many great winners of the Queen's Plate, but few of them did it with the panache of Capetown Noir. Among his victims that day were the Group One aces, Jackson, Yorker and King Of Pain; it wasn't only a matter of what he beat though, it was the manner of the beating that mattered. A fine, athletic colt in the image of Western Winter, his balance and style betrays the other side of his family. Born, bred and built for a Classic campaign, his bearing is that of Sadler's Wells, Nureyev and Lyphard. If the scenario is typical of the stories of this gigantic trio, perhaps his future might be as well. Time was when weekends were "TV time" for the marquee events of our sport. Yet ever since the de Kock caravan decamped for its pioneering pillage of the riches of Dubai, Thursday evenings have become "ritual" for South African fans. For all the big names that thrilled our sitting rooms over the years, none of them exceeded the worship of the original globe-trotter, Linngari. Here was the redefinition of the international racehorse, a handsome, zestful dual-Group One hero who never ducked a fight. From 1200 to 2000metres, he posted major race performances in eight different countries on four different continents. Linngari was a racehorse, pure and simple. Whether in victory or the slender margins of defeat, with Linngari there were no exhibition matches. It was straight out, bayonets-fixed, trench warfare. His Aga Khan roots had vaulted him to the front of the field, but the weight of it all could just as easily have tripped him up when he retired to stud. The journey to the great racecourses of the world starts in the breeding shed, which means that if we get it right here, it's "hello Hollywood". Here again, Linngari has paid his homage to his Aga Khan belongings. As 2014's runner-up sire of three year olds to the rising star of French breeding, Le Havre, Linngari already has four Stakes winners and seven Stakes performers on his slate. It was the same de Kock that coined the phrase "in any other year, he would've been a Derby winner". He was referring of course, to Golden Sword, the handsome flag bearer for the Sadler's Wells' tribe in South Africa, who, with a furlong to run, was on the brink of the upset of the century in England's greatest racehorse. Winning isn't everything, but as the horses' mother had obviously taught him, it's the only thing. He didn't just run the world's best racehorse to a "near thing", for de Kock he subsequently posted the fastest ten furlongs in UAE history. Faster even than nineteen World Cup winners before him. The clue was Classic stamina, thought to be a lost art in the modern era of our sport, but re-alchemised at secret laboratories in remote places like Tipperary. A year ago, there was regret among Golden Sword's owners that he wasn't standing closer to home; they'd seen his foals, and while the market doesn't always get it right, when this year's admirers included Magic Millions' Barry Bowditch and "Chuck" Norris, Charles Laird, Michael Azzie, Jehan Malherbe, Ronnie Napier, Gavin van Zyl, Justin Vermaak, Alesh Naidoo and Paul Lafferty, you've at least got a ticket in the sweep. What's more, if there was a racing Vatican, Mike de Kock would be a cinch for "pope". That the white smoke from de Kock's yard was also signalling Golden Sword's pre-eminence, confirms the beautification of his flock. Picture this. The contestants for the Krisflyer International are prancing in the dappled shade of the Kranji parade ring. The rider of the favourite, hot off his victory in the world's richest sprint, taps his whip against his boot and nods politely as an owner, who's never sat on a horse, tells him how it's done. You think of an astronaut being briefed by a gent prone to dropsy. In a matter of minutes, Europe's marquee speed merchant is under the pump; in the same instant, Singapore crowns a new king. Boundless ability had already elevated Ato to the ranks of the best Asian milers, reckless abandon now takes him to the echelons of the world's top sprinters. "Group One sprinter, Group One miler," he's the package we've all been looking for. We remind ourselves, this is racing, not quantum physics. In our game, Damon Runyon and Rudyard Kipling write the scripts. Ato has a multicultural history that mirrors racing's metaphors; in this moment, he may be the only Asian racehorse with the mix of money, moxie and galloping mojo to match Black Caviar. He is the son of an American father and a German mother, who earned his Group One stripes under the tutelage of a South African in Singapore. He is also a tribute to the ecumenical nature of the turf: his part owner is a gentleman of English extraction; another partner is a German coffee magnate with a three generation attachment to his homeland's most famous stud farm; this cosmopolitan triangle is completed by a good Jewish boy from Jo'burg, with his stripes in finance. Until the Atos get to the races, expect the unexpected. Machiavelli told us if we want to divine the future, we should consult the past. When Demi O'Byrne paid a world record sum to secure Brave Tin Soldier as a foal, he was saluting the point of perfection the Thoroughbred had reached after 300 years of meticulous selection. Here was a dazzling conjunction of genetic material, a birthright bequeathed an army of rainmakers, nurtured by generations of hand-to-hand combat. When Brave Tin Soldier flattened an assembly of Ireland's elite two year olds in the "Blenheim", he was respecting his ancestry; when he shattered the record in the "Cliff Hanger", he lessened the weight on O'Byrne's shoulders! When Rabada, Red Hot Poker and Easy Street cruised up on debut, they were comforting their father: this was only the overture; the opera starts next season. Traffic Guard might sound like someone you'd expect to find on a podium at a dysfunctional intersection, but when the gates slammed open for the August Stakes, it was the moment the horse had spent his growing up waiting for. The top-rated son in Africa of the best dual-hemisphere stallion of the current age, Traffic Guard was the symbol of the highest athletic virtues, rock solid mental resolve and massive physical attributes. Like Golden Sword, no matter his feats in victory, his greatest moment came in a half-length defeat at the hands of the world's best three year old. Whatever other accolades they may shower upon New Approach, when the curtain came down on the Irish Champion Stakes, he knew he'd been in a fight. Our jockey's face was a study in torment: we know the look; we see it on the faces of our fellow Sharks supporters most Saturdays these days. The good news is, the Traffic Guards are coming soon. At a theatre near you. Visionaire's idea of filling Kipling's "unforgiving minute" was always a bit more ambitious than a mere "60 seconds worth of distance run". He showed it on his big day in the King's Bishop at Saratoga, he showed it with his first runners in the States, and he's doing it again with his debutants in South Africa. With the pen in his hand, Visionaire is writing his own history. The established order has always been about the Classics, as much as cricket was always about Test matches. The fear for both institutions was always that the shorter versions might be the ruin of them. But here is racing in evolution: the Visionaires are doing for racing what Kerry Packer did for cricket, and the racing press are letting us know. What you see in the Visionaires is what you get, and the market loves them. In our game, class is an obsession; buyers know that the only way to cure it, is to get a bit of Visionaire. The one aspect of our business that baffles me, is the chasm between what investors will pay for the progeny of our high-flying commercial stallions and those of the new kids on the block, no matter their credentials. 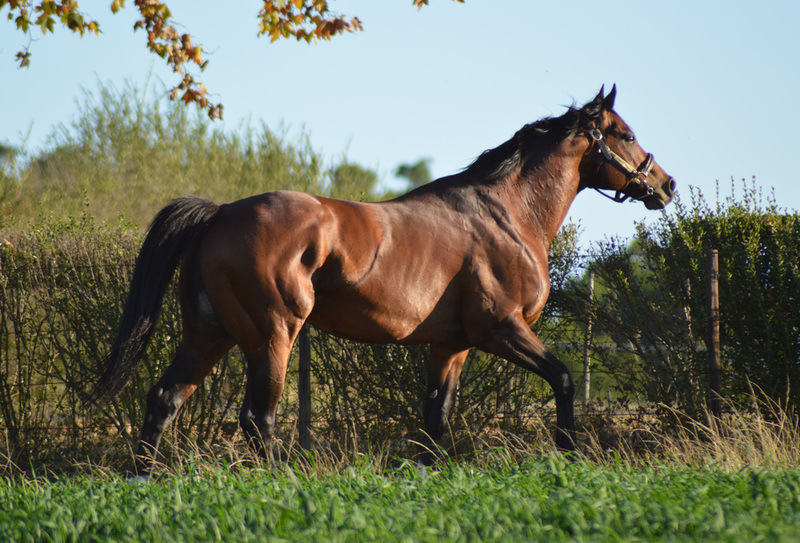 South Africa is blessed to have in its stallion midst the formidable likes of Dynasty, Captain Al, Trippi, Silvano and Var, all of whom had first crops at one time or another. The sales grounds are replete with those who "tipped" them when they first saw their progeny on show, but never raised their catalogues when the bidding opened. We should never confuse brains with a bull market; Wall Street's graveyards are full of investors who were right too late. Not so long ago, the early offerings of top young stallion prospects enjoyed the attentions of the buying bench. In those days, the old judges I knew clasped their sales catalogues much as a fundamentalist preacher clasps the King James Bible. Like the preacher's book, their catalogues were well-worn, and held clues to the deeper meanings of life, such as "well balanced, could be anything". Sometimes, it is the people no-one imagines much of, that do the things no-one can imagine. Perhaps we should try it. We could be anything.